‘Kia ora’ is Maori for ‘hello’ or ‘hi’, it is pronounced ‘key-aura’ and is a common greeting in New Zealand. Just a little bit of random information to spice your Thursday up! Tomorrow is Friday which means the business week is nearly at a close and we can soon put our feet up and relax! Next week the Status Update will be coming out on Wednesday because of the busy easter schedule, but that means more information sooner 😉 . Made for hunters who truly believe in the values of traditional gun craftsmanship. This rifle features a highly durable walnut stock with an ergonomic design providing an extra secure grip when shooting. To summarize, this is widely considered by many the perfect major league all-around hunting rifle. Chambered in 7x64mm it is a must-have for any hunter! You can find it in the store here. To celebrate the release of this amazing rifle we also have a competition running over the next 6 days which will put you to the test. Enter here. This morning the competition closed and the art team are now busy trying to pick out the winners. Thank you so much to everyone who participated we had a great response and so many awesome entries, they have a hard time ahead of them picking the winners out! Winners will be announced in the forum as soon as we have them selected! Well today is the first live competition with the new camera fully operational! I have to say I can’t wait to be able to bring you this new, fun style of competition that is viewer friendly. Hopefully we can make you feel like you are side by side with the contestants as they duke it out. Today sees ronMctube, Jaxy Beard and Flinter battle it out over two hours. The first contest is going to be on Bushrangers Run and they will be competing for highest scoring Feral Pig. The map is set up with 4 tents on it evenly spread out, we will run a draw to determine who gets to pick their starting point first, second and third. The second competition is going to be on Hirschfelden and we will see the competitors hunt after the highest scoring Roe Deer. Both scores added together will decide the final positions and I must stress this is a fun light-hearted competition so we can fully test the camera in a live situation… There is bound to be some comic gold. So for instance I have a hunter score of 13820, this would see me in the ‘Advanced’ tier. We are currently working out what happens if you switch tier halfway through the competition, but we are leaning towards the hunter being removed from the lower tier and compete in the higher tier that he has just moved into, obviously while maintaining any progress he has already made. This will make for some fun competitions and mean that everyone has a better chance to do well. The event starts next Wednesday the 28th and runs until April the 3rd. More details will be released next week in the forums. 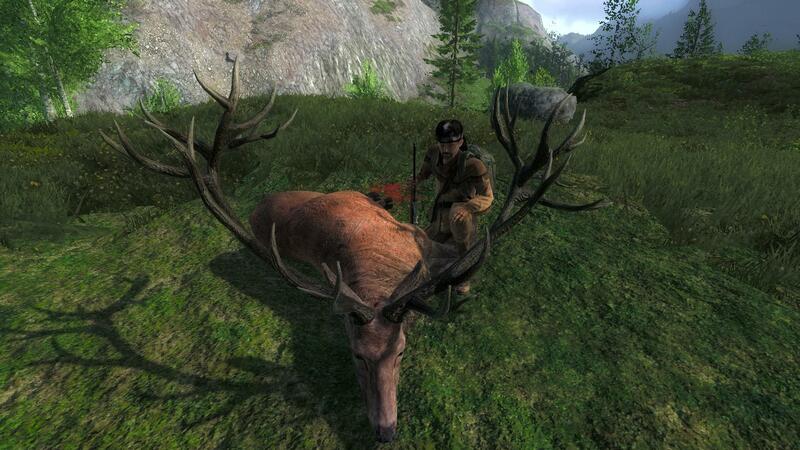 The ‘Trophy of the Week’ is this huge Red Deer which was shot by LuckyMurph. It has a very nice score of 281.618 and is currently 1st on the leaderboard, congratulations! If you are unsure of what many consider to be a trophy Red Deer it is around the 255-260 scoring mark upwards. So as you can see this blows them out of the water! 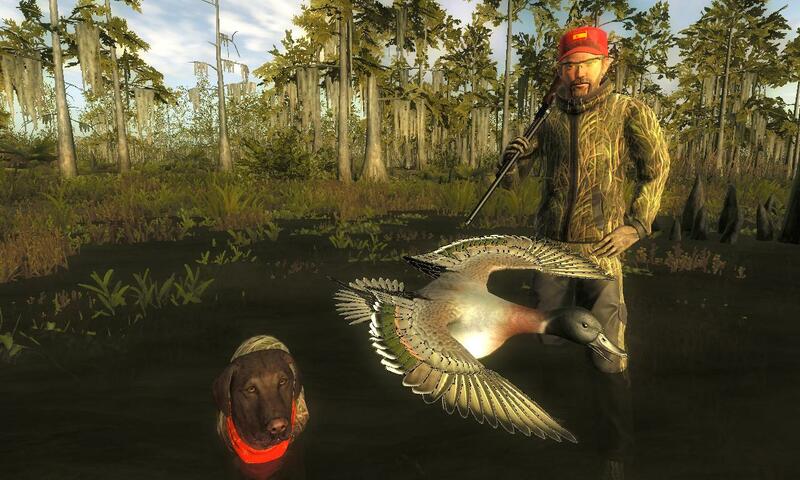 And the ‘Rare of the Week’ goes to Ardillamente for this Northern Pintail (Mallard Hybrid) scoring 809.191. This is considered as one of the most rare variations in the game is an absolutely beautiful trophy, congratulations! 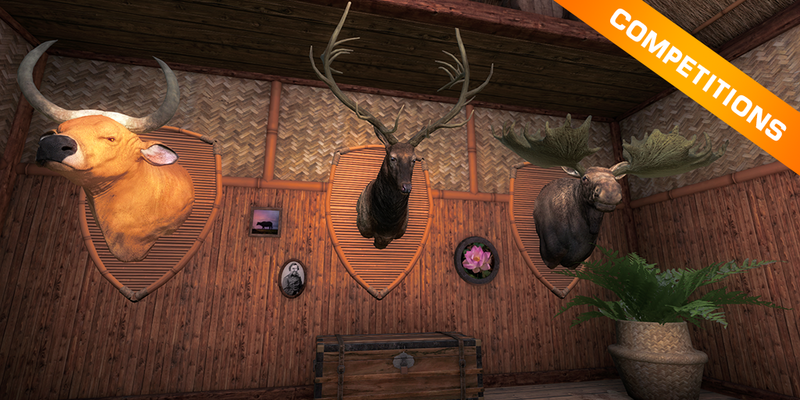 This week’s free rotation lets our guest hunters test their skills against Alpine Ibex and Mule Deer. Both are going to require the highest level of hunting skill!